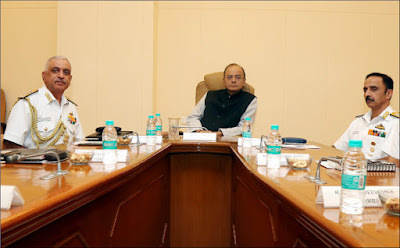 Defence Minister Arun Jaitley visited the Western Naval Command of the Indian Navy at Mumbai. 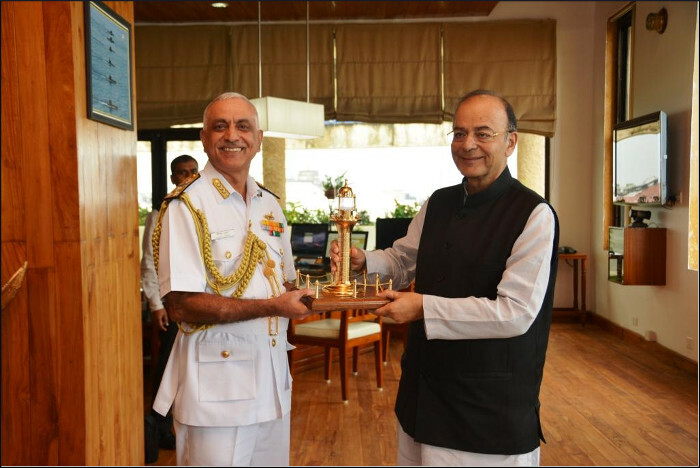 The Honourable Minister was received by Vice Admiral Girish Luthra, the Flag Officer Commanding-in-Chief Western Naval Command. 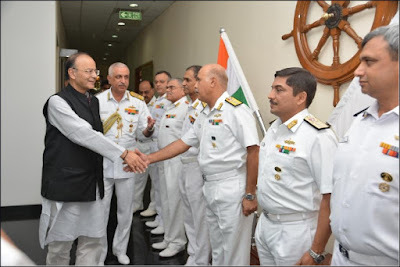 On arrival, he was presented a Naval Guard of Honour. Shri Arun Jaitley then proceeded to the Headquarters of the Western Naval Command and interacted with the Commander-in-Chief. At the Headquarters, the Raksha Mantri was briefed on the operational readiness of the Command and other relevant aspects of maritime and coastal security. 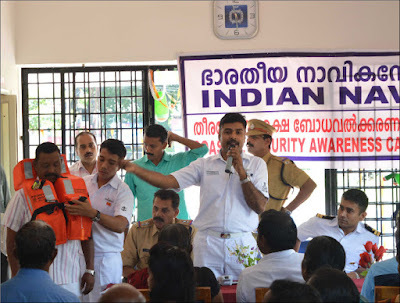 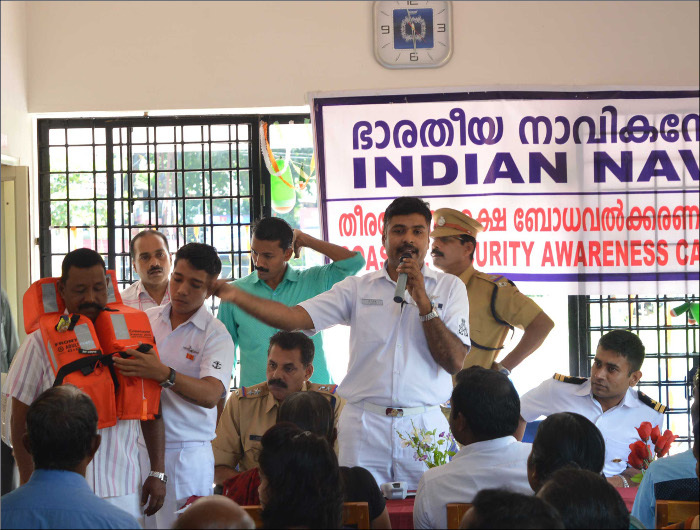 As part of the initiative to enhance security consciousness amongst fishermen, a Coastal Security Awareness Campaign was conducted at Thalayi fishing harbour and Dharmadam fish landing centre on 17 August 2017 and at Ayikkara and Azhikode harbours on 18 August 2017. 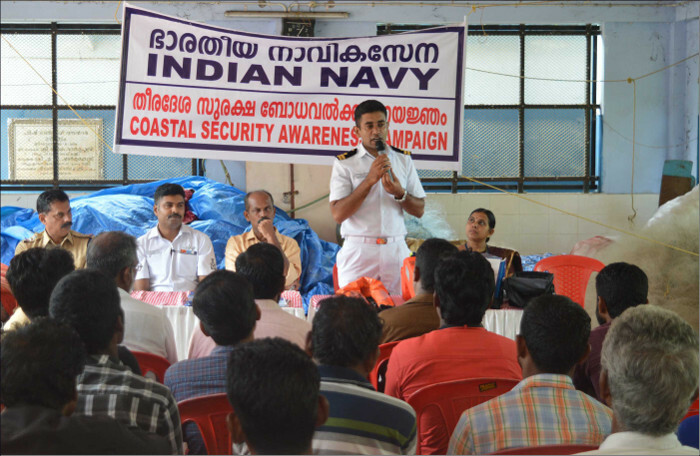 Representatives from District Administration, Department of Fisheries and Coastal Police also participated in the campaign. 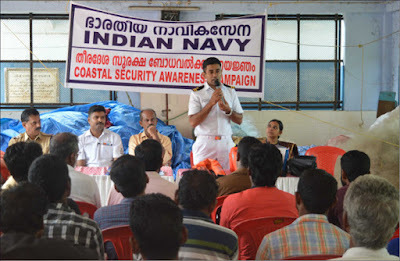 The role of fishermen and local populace as being the ‘Eyes and Ears’ of security agencies in reporting suspicious activities, measures for enhancing security including use of Coast Guard toll free number 1054 for Search and Rescue and Coastal Police toll free number 1093 for reporting coastal security matters were highlighted during the campaign. 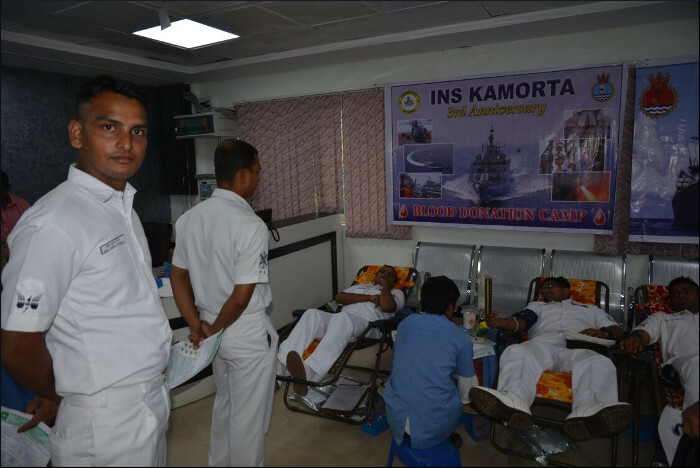 As part of the third anniversary celebrations, INS Kamorta organised a blood donation camp at INHS Kalyani on 17 Aug 2017. 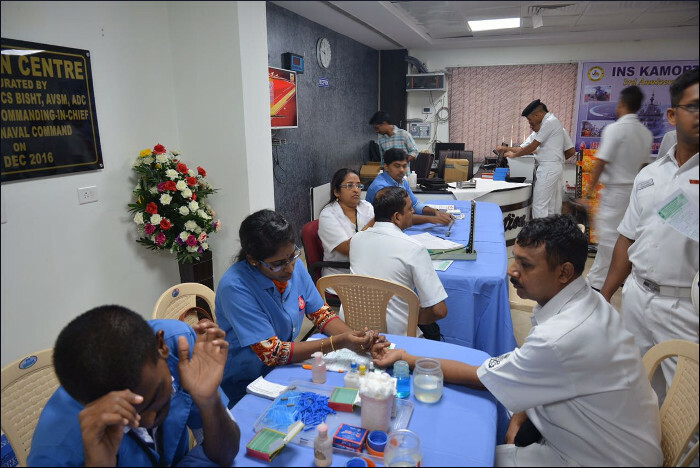 The camp was aimed at spreading awareness about voluntary blood donation and its importance towards saving precious lives. 51 personnel from the ship, including ladies, voluntarily donated blood. 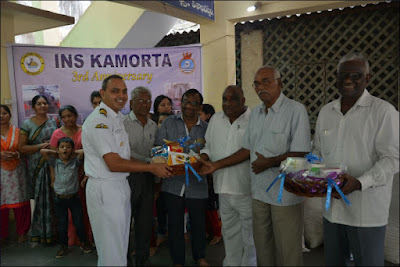 As part of social responsibility towards lesser privileged children and fellow human beings, the ship's crew, through their personal contribution, donated basic sanitation kits for children, medicines for patients and provisions at 'Prema Samajam', an institution based at Visakhapatnam. The ship's crew also sponsored lunch on 19 Aug 2017 for the inmates, during which personnel from the ship interacted with children, elderly people and patients at Prema Samajam.